Service Advanced: In advanced mode, services may be added individually, or as a range, such as 5000 to 10000. This can be useful for older apps such as CORBA. 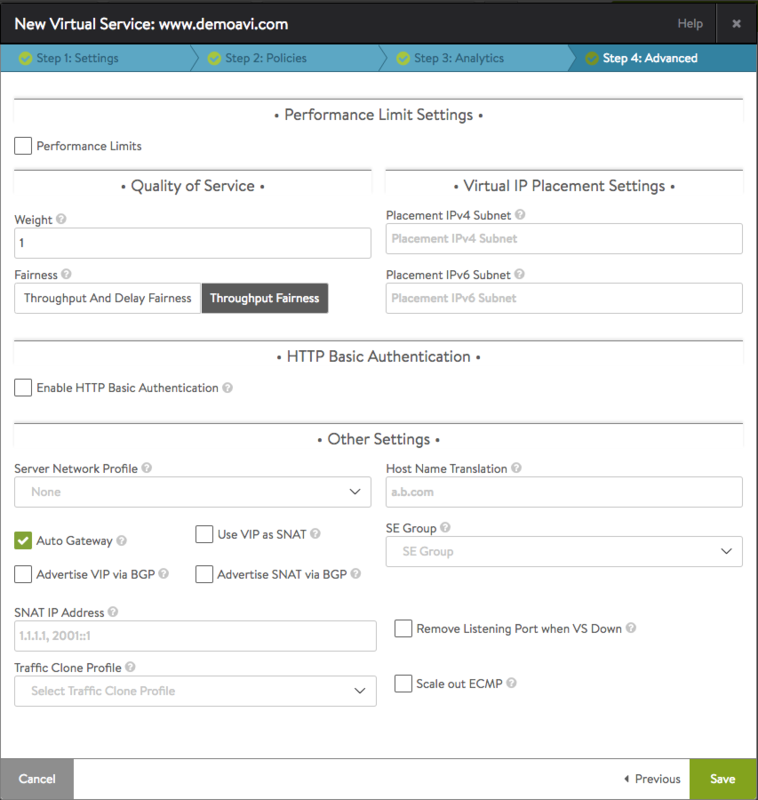 The virtual service default TCP/UDP profile may be overridden on a per-service port basis. This can be beneficial for protocols such as DNS, RADIUS, or Syslog that may use both TCP and UDP at the same time. 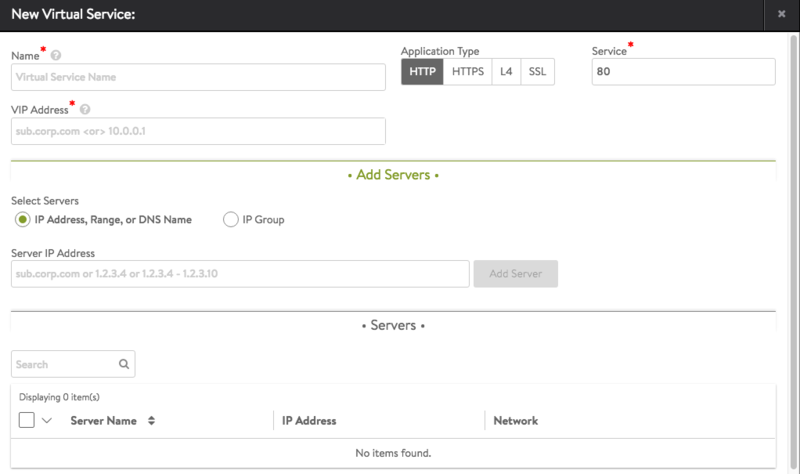 To change the protocol, select Override TCP/UDP and select a profile for this service port. SSL Profile: Collection of settings that determine the preferred ciphers and versions of SSL that Vantage will use when negotiating with clients. SSL Certificate: Either select an existing SSL certificate or create a new certificate. Vantage supports both RSA and Elliptic Curve (EC) certificates, and both may be configured for the same virtual service. To use both RSA and EC, simply add a certificate for each type in this field. Vantage will prefer the EC certificate because EC is newer, more secure, and faster. Most any browser from the past decade will support EC.